The Volkswagen Golf, Passat and Polo were again the top-selling car models in Germany in 2016 but the favorite cars of the Germans lost market share. The Opel Astra and Audi A4 were the most improved top selling cars in Germany while the new Touran added the highest number of cars. New passenger vehicle registrations in Germany in 2016 increased by 4.5% to 3,351,607 cars with Volkswagen still the best-selling brand. There were no changes to the four most popular car models in Germany in 2016 compared to a year ago but none of the other top 30 models were in the same rank position as a in 2015. Although the VW Golf and VW Passat maintained their traditional first and second places on the list of the best-selling car models in Germany in 2016, both were the worst performing of the 30 top-selling car models in Germany. Golf sales were 13% lower than a year ago while the high-earning Passat slumped by 17%. The Volkswagen Golf has been Germany’s best-selling car since 1981 – it was last outsold in a full calendar year in 1980 courtesy of the Mercedes Benz W123 (E-Class). However, VW sold 35,000 fewer Golfs in Germany in 2016 than a year ago with the total sales volume the lowest sales numbers for a Golf in Germany since 2008. A small facelift for the Golf was announced in December but the Golf VIII is only due in 2018. Nevertheless, the Germans still bought more Golfs in 2016 than the next three car models combined. The Volkswagen Passat has been Germany’s second best-selling car model since 2011 but sales were down 17%, or 17,000 cars, compared to 2015 – the worst performance by any of the top 30 best-selling car models in Germany in 2016. 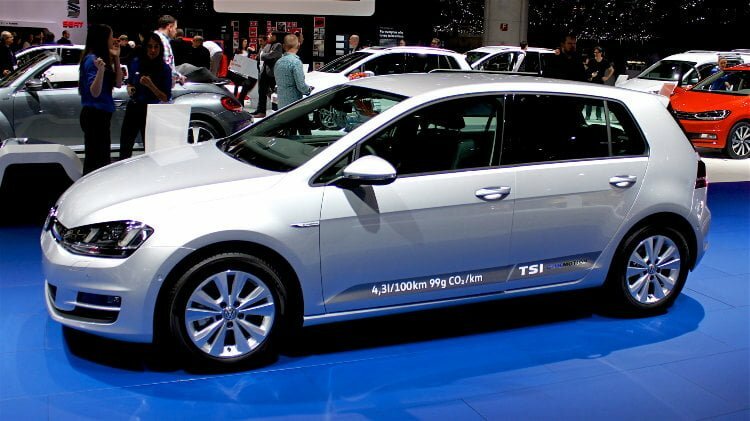 The Passat is generally considered a high earner for Volkswagen with around 92% of registrations going to businesses. Surprisingly, the aging VW Polo was the only of the top four car models to have increased sales in Germany in 2016 but even here market share was lost. The current Polo was launched in 2009 and the new Polo will be presented at the Geneva Auto Show in March 2016. The new Polo is expected to increase in size and may give more competition to the Golf. The Mercedes Benz C-Class maintained its fourth position despite marginally weaker sales in 2016. The Opel Astra was one of the star performers in Germany in 2016. Astra sales were up 16%, or 9,000 cars, allowing the Astra to move up from 8th a year ago to 5th. As a result, the VW Tiguan – Germany’s favorite SUV – slipped down one rank position despite higher sales. The Audi A4 was the most improved of the ten best-selling car models in Germany in 2016. Sales increased by 17% to move up to 7th from 10th last year. As a result, the Skoda Octavia and Audi A3 each moved down two rank positions with sales roughly similar to a year ago. The Skoda Octavia remained Germany’s favorite imported car model. The Opel Corsa slipped from 9th to 10th with sales increasing in line with the broader market. Worrying for Opel, the new Corsa is only due in 2018 while the Polo is expected to perform even stronger once the new model is launched early 2016. The VW Touran was the most-improved model with sales up 42% or 15,000 cars. The Touran improved from 21st a year ago to 11th – a new model was launched at the start of 2016. BMW cars had mixed fortunes – the 2 series improved rank position while the 1, 3 and 5 Series had weaker sales and lost market share. A new 5 Series will be launched in 2017. Sales of the Ford Focus and Fiesta were down and model updates are clearly needed to revive Ford’s fortunes in Germany. In contrast, the Ford Kuga did remarkably well with sales up by more than a fifth. The Fiat 500 was the best-selling foreign car from a brand not belonging to a German carmaker. The VW Caddy was the only new model to enter the top-30 list with the Nissan Qashqai dropping off the list. The Nissan Qashqai was the best-selling Japanese car in Germany in 2016 but slipped from 30th to 31st despite stronger sales. The popularity of SUVs in Germany increased in 2016 as reflected by the improved sales of the VW Tiguan and Ford Kuga. Just outside the top 30 – at positions 31 to 34 – are the Nissan Qashqai, BMW X1, Audi Q5 and Mercedes Benz GLK. Volkswagen was the best-selling carmaker in Germany in 2016 but lost market share to other brands.